This story began not so long ago, in the second quarter of 2017. A young Taiwanese entrepreneur Popo Chen decided that he didn’t have enough money from the sale of a streaming business named 17 Media, and started raising funds for a new cryptocurrency project. The history of 17 Media wasn’t so smooth: the public told that this “Asia’s largest streaming platform” (which reached only 5 million users) was successfully sold to investors whether from Singapore, or Thailand, but publicly, however, nowhere was reported what income investors received, the transaction went through a merger, the company wasn’t displayed on the exchange. The key to success in the crypto-currency world is the ownership of the exchange. 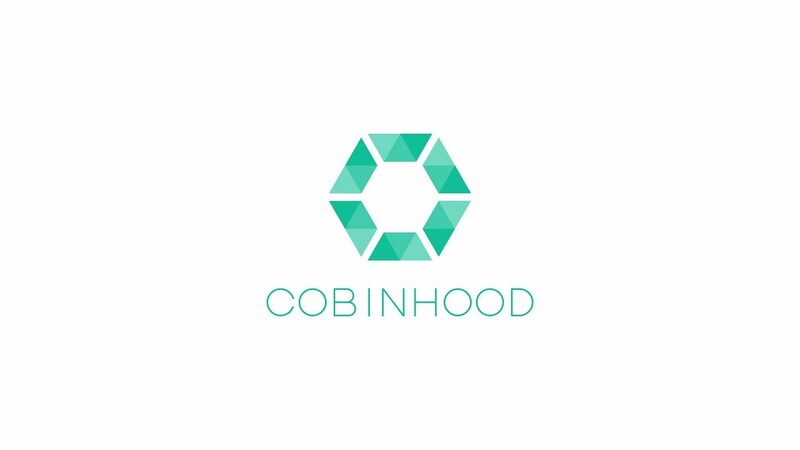 Popo Chen decided to create the exchange, named it unsophisticated Cobinhood — an obvious rip-off to the Robinhood brand, already successful and developed at that time, one of the leaders in the segment of “small deals” in the United States. 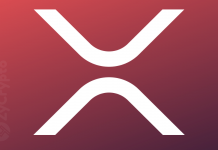 No matter how much you were assured of the opposite and told about the wonders of the security of the blockchain, in reality, the crypto-currency exchange is (with rare exceptions) an ordinary centralized organization, which customers deposit their own funds and exchange assets with each other. You will never know who controls the wallets of these exchanges and who controls the Cobinhood wallet today. Also, you’ll never know there are still funds on the stock exchange or they are withdrawn in someone’s interests and finance other cryptocurrency startups. Anyway, to lay a hand on the funds of customers, it was necessary to develop at least the exchange. And Cobinhood launched its own ICO. Oh, these blissful times when investors easily bought the idea of a decentralized future. For a month or so, the public placement of COB tokens has allowed attracting almost $15 million. Colossal money that could provide excellent technology, software interface, and internal liquidity. The attractive element for investors was the commission-free platform. Yes, the exchange didn’t plan to take any commission from transactions! And how to earn, how to return to investors their investments, you ask? Nohow. Return on investment and income from the beginning weren’t in the program. The team of founders of Cobinhood had one task: to secure a good income and bonuses, to jump on the springboard, catapulting in the height of the crypto-currency chapiteau. Everything happened exactly as any observer could assume: the exchange started a month later than promised and the first months worked through a stump deck. Its turnover barely reached a few hundred thousand dollars a day, while the market leaders were getting to the billion-dollar trading volume. 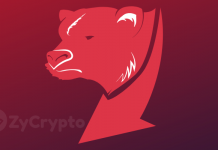 Against required by investors liquid token in the top ten markets, Cobinhood masse took on listing little-known projects, which habitually held a series of “pump dump” (dispersal rates and then a sharp drop with fooling who bought at the peak), and then disappeared forever, and forgotten founders, and the leadership of the exchange. At the peak, the exchange had almost 60 such “investment” objects in the quotation lists. Through the “pump” was passed and the COB token: shortly after the ICO price for this, in General, useless coin was dispersed in 20 times. When the capitalization of the tokens has reached $300 million, there was sobering. Most likely, large seed investors sold their more expensive assets already at the growth phase, thanked the founders of Cobinhood, who provided them with such a successful “field of miracles” and went back to the real world with significantly heavier pockets and wallets. The quotes of the token have since been in a steep decline. During 2018, it fell by 20-40% every month. As a result, to date, the price is 75% lower than the placement price in October 2017 and is about 120 times different from the peak levels at which it was completely artificially abandoned by nimble manipulators. Naive investors watched the implementation of the project “road map”, hoping that, if not commission (which, as you remember, the exchange doesn’t receive), then at least additional services will be able to provide some financial return on the project. During funds raising, the team made many promises: the launch of margin trading, holding a large number of ICOS on the site, which would allow receiving bonuses to the COB holders, the integration of payment wallets and exchange services. All this remained promises. Margin trading was technically launched a year later than promised and today operates in a sluggish, almost test mode. For one and a half years of work, the platform carried out only one placement which, however, to COB holders didn’t bring practically anything. There was a massive lottery (“candy machine”) running in which traders distributed microscopic amounts of untraceable tokens with a value of about zero. Casino classics: gilding, tinsel, hype, zero filling. The team focus swam in the opposite direction. In the autumn of 2018, Popo Chen lit up with a new idea: to build another blockchain. In a situation where there are bitcoin, ether, EOS, and at least a dozen fully functioning and dynamically developing technologies, the founders of Cobinhood decided that they’ll be able to revolutionize and launch a completely new, fast and very popular product. And, of course, immediately began to raise funds for it. Dexon’s fundraising campaign was rumored to raise $30-40 million, of which, according to the founders, $20 million has already been raised from an anchor investor. Like the Cobinhood story, isn’t it? Why is attracting such huge funds to write code that doesn’t require its own fleet of servers and is aimed at the voluntary creation of nodes around the world? Such funds could well form a data center comparable to those used by international corporations. The second campaign on the “field of miracles” was given more difficult: investors are legible and more careful, so the Dexon fundraising has been going on for the fifth month, and the product promised in early 2019 remains a loud prototype. And the history of Cobinhood is gradually moving to a phase that we can call “17 Media Version 2”: Popo Chen left all senior positions on the stock exchange, on his place came a new CEO who has no experience in the cryptocurrency world. We can only guess how soon the exchange will be sold to a strategic investor and begin a new stage of its development — with commissions, black Jack and… In other matters, we’ll see.